It’s very important that you leave your home if you smell natural gas (odor is similar to sulfur or rotten egg). Once away from your home, contact your natural gas service provider. They’ll send someone to your home to shut off the gas supply. Natural gas can ignite when it collects in a confined space. It only takes a small spark to create an explosion! 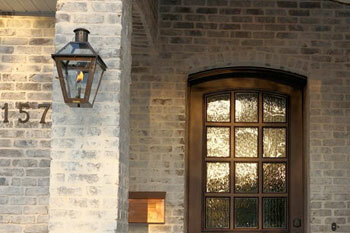 You do not want to hire just any plumber to install or service a gas lantern. This type of service must be performed by qualified licensed plumbers. Literally, your life depends on the quality of their work. Ty is a licensed Master plumber by the Texas State Board of Plumbing Examiners. This means he has passed rigorous training and testing requirements. Schedule your appointment with us to set up or service your gas lantern.